This week, the University of Wisconsin Press publishes Good Night, Beloved Comrade: The Letters of Denton Welch to Eric Oliver, edited by Daniel J. Murtaugh. Denton Welch (1915–48) died at the age of thirty-three after a brief but brilliant career as a writer and painter. He published four novels published between 1943 and 1950: Maiden Voyage, In Youth Is Pleasure, Brave and Cruel, and A Voice through Cloud, as well as a large body of short fiction and poetry.The revealing, poignant, impressionistic voice that buoys his novels was much praised by critics and literati in England and has since inspired creative artists from William S. Burroughs to John Waters. His achievements were all the more remarkable because he suffered from debilitating spinal and pelvic injuries incurred in a bicycle accident at age eighteen. Though German bombs were ravaging Britain, Welch wrote in his published work about the idyllic landscapes and local people he observed in Kent. There, in 1943, he met and fell in love with Eric Oliver, a handsome, intelligent, but rather insecure “landboy”—an agricultural worker with the wartime Land Army. Oliver would become a companion, comrade, lover, and caretaker during the last six years of Welch’s life. All fifty-one letters that Welch wrote to Oliver are collected and annotated here for the first time. Daniel Murtaugh, editor of Goodnight, Beloved Comrade, shares in the following post how he’s experienced a companionship that mirrors that of Welch and Oliver. xas held Welch’s original holographic letters purchased in the 1960s from Eric Oliver, Welch’s companion. My book originated from the work I did during this visit. As it happened, Ned, one of my closest friends from Lawrence, Kansas, had moved to Austin a couple of years prior and was working for a rare book and manuscript restoration business. Though I knew I would be spending most of my daytime hours in research, I made plans to get together with my friend during the evenings. Ned picked me up at the Austin airport and took me to the bed and breakfast run by Martha Campbell in the Hyde Park area of Austin. Martha had lost her husband and had converted her home into a lovely and relaxing oasis for visiting scholars at the University of Texas. My digs were a series of light-filled rooms where I immediately felt at home. 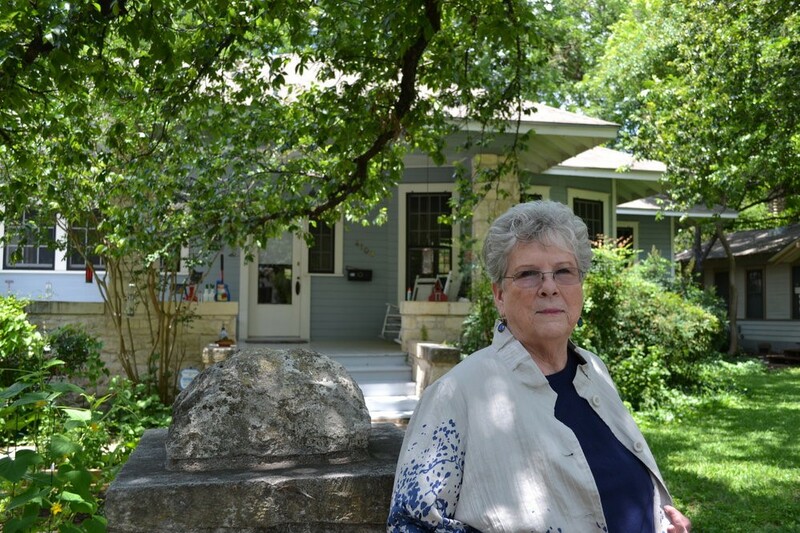 Martha is a well-read and feisty Texas woman, much like her idols Governor Ann Richards and Molly Ivins, and we had many lively political and literary discussions during my time in her home. Some of my most memorable moments at Ms. Campbell’s were those sitting on her porc h, after dark, reading or mentally rehearsing my findings from the Denton Welch Collection at the Ransom Center. I was quite used to the deafening droning of cicadas as evening fell, but not to geckos. I was amazed and delighted to see several of these tiny lizards clinging adhesively to the porch walls, then darting after any mosquitos or other insects coming into the danger zone. I half expected one of these creatures to leap onto my shoulders in hot pursuit of its nocturnal quarry, but it never happened. 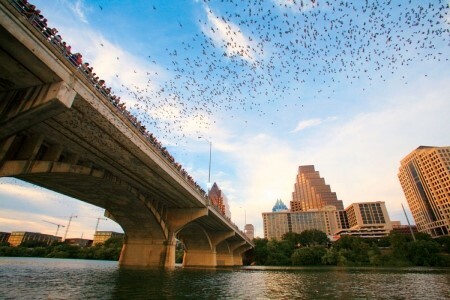 While I am still within a darting tongue’s distance of the subject of insect control, I might mention that one evening—just at dusk—Ned and I went to the Congress Street bridge in downtown Austin, under which thousands of bats make their homes. As we sat on the bank of the Colorado River, we heard a deafening squeaking and whirring, preceding waves of bats winging and pirouetting their way down the river channel in search of mosquitos. It should come as no surprise that this natural phenomenon has become one of the “must-sees” for visitors to the city. 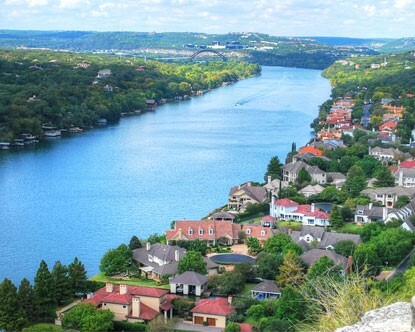 Ned and I spent a lot of time together, bicycling to Barton Springs (for relief from the intense south Texas heat), along the numerous bike paths on the banks of the Colorado, and finally climbing the cliffs above Lake Travis for an exhilarating view of the Texas hill country. On my last Saturday in Austin, we took a hike among some rocky outcroppings near the river. When I stopped for a rest, I naively sat down cross-legged on the ground; it didn’t take long for me to realize that fire ants (which one is unlikely to encounter north of the Red River) were advancing in platoons up my legs, apparently intending to bivou ac somewhere inside my shorts. Before I could mount a counterattack, I learned to my chagrin—and to Ned’s amusement—the reason they were given the name “fire” ants. In all the time we spent together in Austin, I hadn’t realized how like Ned was in appearance and nature to the writer whose letters I was reading and copying at the Ransom Center. Both wore round, wire-rim glasses, both had a mass of curly hair, and both were intensely attuned to the minutiae of the world around them. Many years later, I recognize that Denton Welch’s sometimes frustrating relationship with Eric Oliver—particularly related to their difficulties in the mutual expression of intimacy—in many ways mirrored my continuing friendship and love for Ned, which had begun in Lawrence several years prior to my trip. Among the things that Denton and Eric enjoyed most were their hikes and bicycling trips around the English countryside, the same types of things Ned and I cherished most during my visit to Austin and in my previous experiences with him. Also, like Denton for Eric, I long ago realized that Ned is one of my soulmates, but also like the writer and his companion, our connection can never be fully and mutually shared; there are barriers. However, no one will ever share in the same way my sense of wonderment in and bewilderment by our world (including geckos, bats, and fire ants) better than Ned. 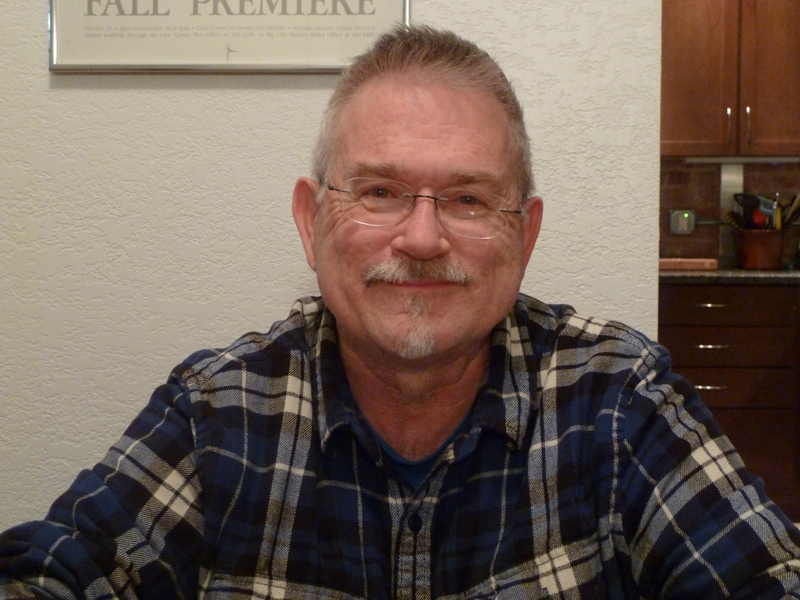 Daniel J. Murtaugh teaches literature and history at Park University and at Johnson County Community College. He lives in Kansas City, Missouri. Good Night, Beloved Comrade is published in the UWP books series Living Out: Gay and Lesbian Autobiographies, edited by David Bergman, Joan Larkin, and Raphael Kadushin.